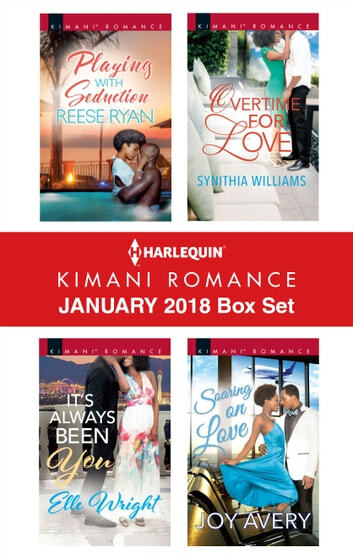 Looking for entertaining stories of drama, glamour and passion featuring sophisticated and sensual African American and multicultural heroes and heroines? Harlequin Kimani Romance brings you all this and more with these four new full-length books for one great price! Premier event promoter Wesley Adams is glad to be back in North Carolina. Until he discovers the collaborator on his next venture is competitive volleyball player Brianna “Bree” Evans, the beauty he spent an unforgettable evening with more than a year ago. Will their past cost them their second chance? Best friends Dr. Lovely “Love” Washington and Dr. Drake Jackson wake up in a Vegas hotel to discover not only did they become overnight lovers, they’re married. But neither remembers tying the knot. Will they finally realize what’s been in front of them all along—true love?